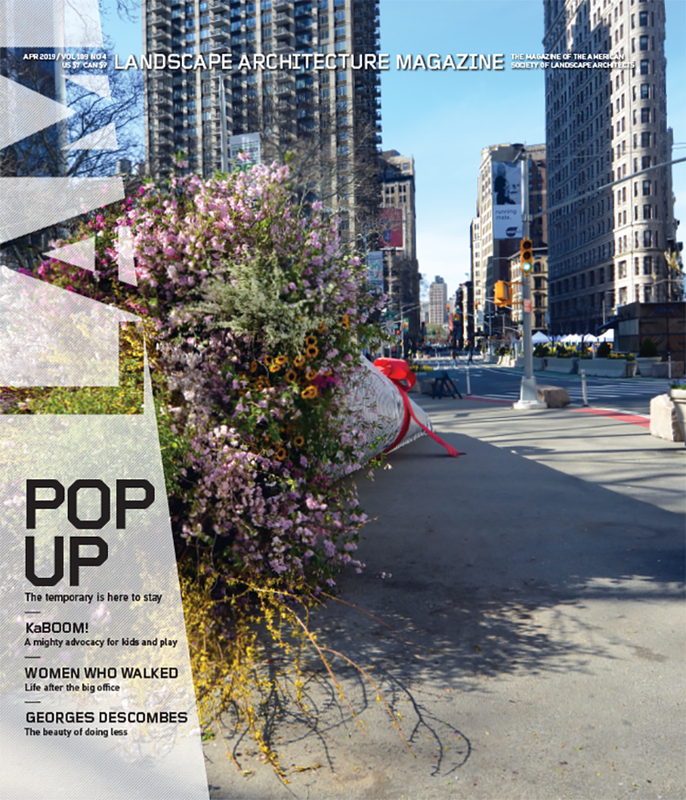 June’s issue of LAM looks at the tough choices that landscape architecture firms, such as Sasaki Associates and OLIN, must face when updating for a new era; the rustic landscape of a house in Northern California by Lutsko Associates, a winner of a 2013 ASLA Professional Honor Award; and we visit New York City’s biggest secret, Governors Island, the first phase of which opened to the public last year with designs by West8 Urban Design & Landscape Architecture. In departments, Michael Cannell interviews the computer scientist Ioannis Karamouzas about the anticipatory nature of people in crowds; New York State’s new “unwanted” list of invasive plants, fish, invertebrates, and vertebrates outright bans the use of some fan favorites; and Louisville’s tree canopy is disappearing by approximately 54,000 trees a year, according to a new report by the Davey Resource Group. All this plus our regular Now, Species, Goods, and Books columns. The full table of contents for June can be found here. Credits: “Treasure Island,” © Iwan Baan; “The Shelter of Oaks,” Marion Brenner, Affiliate ASLA; “Crowd Computing,” Ioannis Karamouzas; “Don’t Bring It Here,” “Flowering Purple Loosestrife (Lythrum salicaria) Somewhere in Massachusetts, USA” by Liz West is licensed under CC by 2.0; “A Canopy in Crisis,” Courtesy Davey Resource Group.